President Trump said Saudi Arabia had been untruthful in the weeks since journalist Jamal Khashoggi's death in a Saudi consulate in Istanbul but avoided pinning responsibility on the country's heir apparent, while lawmakers on Sunday blasted the kingdom's new explanation as far-fetched. Saudi officials initially claimed that Khashoggi had left the consulate in Istanbul on Oct. 2, despite the lack of security footage showing him ever leaving the building. On Friday, the kingdom acknowledged Khashoggi was killed inside the complex in what the government described as a fistfight gone badly. Eighteen Saudi nationals have been detained for their participation in the operation and five top intelligence officials were fired. Mr. Trump, who initially said he found the Saudis' latest explanation credible, told the Washington Post on Saturday that "obviously there's been deception, and there's been lies," saying the kingdom's story was "all over the place." But he also praised the country as "an incredible ally" and stressed the importance of Saudi weapons purchases. Mr. Trump said he didn't know if Saudi Crown Prince Mohammed bin Salman, next in line to the Saudi throne, knew about the operation beforehand. "Nobody has told me he's responsible. Nobody has told me he's not responsible. We haven't reached that point ... I would love if he wasn't responsible," Mr. Trump told the Post. "There is a possibility he found out about it afterward. It could be something in the building went badly awry." Republican lawmakers reacted to the latest Saudi explanation with incredulity Sunday. "They've lost all credibility as it relates to what has happened,'' Republican Sen. Bob Corker, chairman of the Senate Foreign Relations Committee, said Sunday on CNN's "State of the Union." "I don't think anyone believes that story." "Do I think he did it? Yes, I think he did it. It is my thinking that MBS was involved, that he directed this and that this person was purposely murdered," Corker said, using the crown prince's initials. Sen. Ben Sasse, a Nebraska Republican, echoed that view. "The Saudis have said a whole bunch of crap that is not accurate or true," he said on "State of the Union." 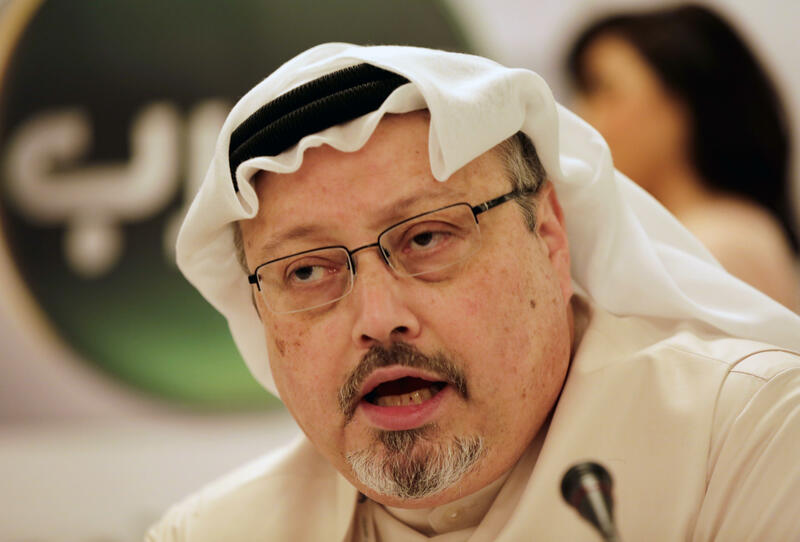 "You don't bring a bonesaw to an accidental fistfight," Sasse said, referring to claims by Turkish officials that Khashoggi's body was dismembered inside the consulate. Corker said the president's reluctance to assign blame was an attempt to keep "channels" open with Saudi Arabia, a key regional ally. But, Corker said, "I see the president evolving on this issue in a positive way." Corker added that Crown Prince Mohammed is "very impressive," but "obviously, if he has gone forward and murdered this journalist, there has to be a price paid for that." He said the U.S. and its Western allies will insist on "punishment" that should be taken via a "collective response." Corker also clarified comments he made last week criticizing the Trump administration for canceling an intelligence briefing he was due to receive on the situation with Saudi Arabia. "We are getting the intelligence now," he said. "The intelligence faucet has been turned back on." He said he spoke to Secretary of State Mike Pompeo on Saturday afternoon, who said the U.S has yet to receive alleged audio recordings of the killing from Turkey. "It would be helpful" to have the tapes, Corker said. Last week, Corker said that the administration had "clamped down" on intelligence about the case.